Sufi whirling (or Sufi turning) is a form of Sama or physically active meditation which originated among Sufis, and which is still practiced by the Sufi Dervishes of the Mevlevi order and other orders such as the Rifa'i-Marufi. It is a customary meditation practice performed within the Sema, or worship ceremony, through which dervishes (also called semazens, from Persian سماعزن) aim to reach the source of all perfection, or kemal. This is sought through abandoning one's nafs, egos or personal desires, by listening to the music, focusing on God, and spinning one's body in repetitive circles, which has been seen as a symbolic imitation of planets in the Solar System orbiting the sun. The Mevlevi practice gave rise to an Egyptian form, tanoura, distinguished by the use of a multicolored skirt. This has also developed into a performance dance by non-Sufis, including dancers outside the Islamic world. "In the 12th century, Sufi fraternities (طرائق ṭarāʾiq) were first organized as an established leadership in which a member followed a prescribed discipline in service to a sheikh or master in order to establish rapport with him." A member of such a fraternity is referred to as a Persian darwish. These turuk (plural of tariqa) were responsible for organizing an Islamic expression of religious life, often founded by independent saints or resulted from the division of existing orders. Each Sufi tariqa stems from a unique silsila, or "chain of order" in which a member must learn, as the silsila binds each member to Allah through one's chain of order. One's silsila extends through the member's individual teacher, to their teacher and so on, through time until one is connected to the Prophet and thus Allah. The Prophet himself is revered as the originator of Sufism, which has in turn been traced down through a series of saints. The sheikh stands in the most honored corner of the dancing place, and the dervishes pass by him three times, each time exchanging greetings, until the circling movement starts. The rotation itself is on the left foot, the center of the rotation being the ball of the left foot and the whole surface of the foot staying in contact with the floor. The impetus for the rotation is provided by the right foot, in a full 360-degree step. If a dervish should become too enraptured, another Sufi, who is in charge of the orderly performance, will gently touch his frock in order to curb his movement, The dance of the dervishes is one of the most impressive features of the mystical life in Islam, and the music accompanying it is of exquisite beauty, beginning with the great hymn in honor of the Prophet (na't-i sharif, written by Jalaluddin himself) and ending with short, enthusiastic songs, some things sung in Turkish. The Western world, having witnessed Sufi whirling through tourism, have described the various forms of dhikr as "barking, howling, dancing, etc." The practice of each tariqa is unique to its individual order, specific traditions and customs may differ across countries. The same tariqa in one country will not mirror that of another country as each order's ritual stresses "emotional religious life" in various forms. The Mevleviyah order, like many others, practice the dhikr by performing a whirling meditation. Accompanying the dhikr practices of whirling and prayer, the custom of sama serves to further one's "nourishment of the soul" through devotional "hearing" of the "'subtle' sounds of the hidden world or of the cosmos." In contrast to the use of sama, whirling and devotional prayer in the practice of dhikr, the tariqa orders perform Sufi whirling in addition to playing musical instruments, consuming glowing embers, live scorpions and glass, puncturing body parts with needles and spikes, or practicing clairvoyance and levitation. The dervish practice can be performed by community residents or lay members, members have typically been those of lower classes. Within Islamic faith, unlike Middle Eastern law, women have equal status to men, allowing women to participate in dhikr as dervishes themselves. Women were received into a tariqa order by a male sheikh, but traditionally were instructed to practice the dhikr alone or with an established branch of females within a specific order. Sufi whirling, a worship of dhikr, became a gender and class neutral practice throughout the Central Islamic region. The custom of sama among Sufi orders has a history of controversy within the Islamic faith. In one argument, the use of the term sama is considered to suggest physically "listening" in a spiritual context. A differing opinion argues that sama is in fact "hearing", as "to hear" can pertain to any sound in addition to any "subtle" sounds of the spiritual realm. Those in support of sama further claim that the term is actually synonymous with "understanding" and therefore recognition and application of the Revelation as well as the act of "attaining higher knowledge." The spread of sama among Sufi orders began some time around the mid 3rd/9th century C.E. 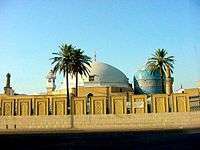 in Baghdad, eventually finding acceptance and favor in Persian, Turkish and Indian Islam. The custom of sama evolved in practice over time as it complimented Sufi dhkir, whirling and among some orders dancing and a meal. Rules of propriety and conditions were adopted upon the widespread concern surrounding the necessity of sama with the dhikr; in order to distinguish between entertainment and valuable spiritual practice, the sama was distinguished as heard from the ego, heart or spirit. Despite the application of rules, some sheikhs continued to limit or disapprove the practice of sama. While controversy continuously questioned the place of sama in Sufi orders, the music itself was not affected. More recently, the custom of sama is most commonly performed within a dhikr ceremony. Those in support of sama continue to argue that "according to that which it is not sama and dance which induce ecstasy, but ecstasy which arouses dance, or furthermore, that sama is only a revealing instrument and that it only supplies that which is brought to it by the hearer." In 2005, UNESCO proclaimed the "The Mevlevi Sema Ceremony" of Turkey as one of the Masterpieces of the Oral and Intangible Heritage of Humanity. Dervish communities, in the Middle Ages, served a central role in social, religious and political life throughout "central Islamic lands." Dervish orders were at one time much larger in size than they are today, as the government has taken control over most Dervish monasteries throughout this area. In 1925, Turkey ordered the dissolution of all Sufi fraternities by decree, the Mevlevi managed to survive among small villages throughout the Middle East. In 1954, the Turkish government granted the Mevlevi order a special permission to perform ritual whirling practices for tourists during two weeks each year. Outside of tourist entertainment, Orthodox theologians have now vocally discounted the Dervish practice resulting in faqirs, or wandering, mendicant dervishes throughout central Islamic regions. Despite strict government control over Dervish practices, the Mevleviyah order continued its existence in Turkey to this day. While only men have historically been permitted to take part in the ceremony, some communities now allow women to participate. In Egypt, the practice of whirling has been adapted as tanoura (Arabic: التنورة‎‎ el-tanoura). The word tanoura or tannoura refers to the colorful skirt worn by the whirler, with a color representing each Sufi order. The word may also refer to the dancer, traditionally a Sufi man. Tanoura is associated with Sufism and is performed at Sufi festivals, but it is also performed by non-Sufis as a folk dance or concert dance. Although it is mainly used for visual effects, the dancers also augment their balance with the tanoura, through a dynamic centrifugal effect. The tanoura tradition has attracted some interest from Westerners in the belly dancing community. These performers include both men and women, solo and in groups. Such performances may be augmented with pyrotechnics or props, such as veils, wings and ribbons. The techniques used in Egyptian Tanoura can also be adopted by belly dancers to help with their balance and control dizziness. Sufi whirling has also been promoted by actor and memoirist Annabelle Gurwitch as a form of stress relief. A defining feature of whirling is continuous rotation (clockwise or counterclockwise) around a central radical axis while avoiding vertigo. In untrained dancers, this sustained rotation causes dizziness or motion-induced vertigo. Training for whirling targets the inner ear, which is responsible for balance functions in humans. To counteract this effect, whirling dance performers practice various balancing and psychological techniques . Guinness World Records for "most Sufi whirls in one hour" were awarded in London in 2012, to Shafik Ibrahim Abd El Hamed in the male category with 2,905 rotations, and Tara Lee Oakley in the female category with 2,191. These records were surpassed in Zurich in 2015 by Nicole McLaren, with 3,552 rotations. The longest continuous whirling performance has been recorded at more than four hours. The most people simultaneously whirling is 755, set in Taiwan in 2011. ↑ "The Sema of the Mevlevi". Mevlevi Order of America. Retrieved 2009-03-26. 1 2 3 Schimmel, Annemarie. Mystical Dimensions of Islam. Chapel Hill: University of North Carolina press, 1975. Print. Page 325. ↑ The Mevlevi Sema Ceremony UNESCO. ↑ Jamjoom, Mohammed (16 December 2010). "Change is afoot for 800-year-old whirling dance". CNN. Turner Broadcasting System. ↑ McLaren, Nicole (11 January 2013). "Whirling: Meditation in Motion or Spectacular Show?". Gilded Serpent. ↑ How to Tell if You're a Member of the 4 A.M. Club. Doctor Oz. Event occurs at 3:12. Retrieved 2016-03-18. Meditation has been shown to be relaxing for the brain, and I like a moving meditation, so I thought of Dervish whirling. Dervish whirling is an ancient technique. It's from the 13th century in Turkey. ↑ World Record for Sufi Whirling. Afaq (in Arabic). BBC Arabic Television. 2012. ↑ Lukhi, Angela (23 March 2015). "Dancer Nicole McLaren puts her fans in a record-breaking spin in Switzerland". Newsivity. Guavo Media. ↑ "Most people sufi whirling". Guinness World Records. Retrieved 2016-03-21. Wikimedia Commons has media related to Tanoura (dance). Gamard, Ibrahim (October 2012). "In Defense of the Whirling Prayer Ceremony (Sema)". Dar-Al-Masnavi. "13 Things The Whirling Dervishes Can Teach You About Spinning Until You're Dizzy Enough To Puke". Very Ethnic. 29 June 2012.